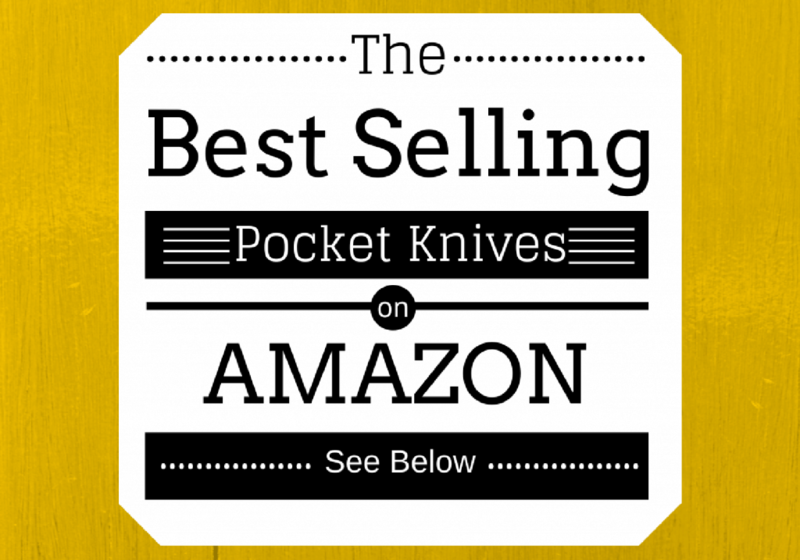 You are here: Home / Pocket Knife / Who Makes the Best Folding Pocket Knife? This article will help you learn what fundamentals you should be considering when shopping for an everyday carry (EDC) knife, from the materials used for the knife’s blade and handle, to how the knife opens, all the way to the types and sizes of blades out there that are best suited for EDC. It will also cover what brands are making great folding knives. 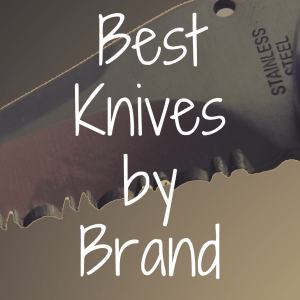 Finally, this article will name the best knife manufacturer on the market based on price and quality. To better help you, we encourage you to take a look at the interactive table below that allows you to compare some of the most popular folding knives against one another based on price, features and more. Best Blade Material for EDC Knives? Steel, that mixture of iron and, primarily, carbon, is a nearly infinite variety of metals, depending on what is added during the forging process. Steel is not the only blade material, however. Ceramic knives have been made that ensure the blade could not complete a circuit (they are popular with Explosive Ordnance Demolition Technicians). Composite knives, such as Kershaw’s composite blade Leek folding knife, have taken advantage of complicated autoclave processes to create an incredibly strong knife blade that can also maintain a sharp edge. It may be easier, then, when shopping for an EDC folding knife, to ask what kinds of blade materials do not work well. The alloy known as 420 steel is a low-cost steel (hence its popularity with manufacturers) that does not hold an edge well and frequently chips. Unless the knife is used as a diving knife (as 420 steel is extremely rust resistant), 420 steel is undesirable blade material. Similarly, the Japanese alloy known as AUS–6 steel suffers the same issues with holding an edge and avoiding chips due to similar concentrations of carbon in that alloy. Some manufacturers experiment with titanium blades because it is lightweight and durable (albeit expensive and quickly dulls). natural materials (such as bone and wood). While natural materials and metals are beautiful, I favor synthetic handles made of thermoplastics. They are affordable (unlike carbon fiber), durable (unlike leather or wood handles), and they are easy to grip in bad weather (unlike bone or metal handles). 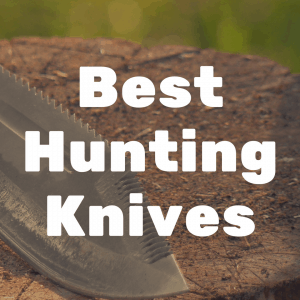 When it comes to preferred blade types, of the wide variety out there, the primary consideration is whether the knife will be used as a tool, a tactical implement, or for hunting. For those who will primarily use their knife as a tool, a straight back blade or drop foot blade are good choices for strength and safety. 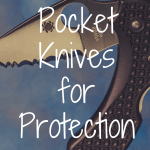 For those who want a knife primarily for tactical purposes, the tanto blade, clip point blade, or spear point blades add the ability to puncture or stab forward along with the cutting side edge. Because hunters need to skin game, a trailing point blade is a perfect option; it acts just like a fillet knife. Serrated blades are not fit for EDC knives. This is my biased opinion, but considering that serrated blades, originally intended to saw through thick ropes used in kayaking and climbing, are harder to sharpen and not useful where finesse is an issue, it is a reasonable assertion. With respect to blade length, the primary issue is the law in your jurisdiction. The UK limits the ability to carry knives longer than three inches in length. In the US, knife laws vary by state, and can limit the length and type of knife permitted. The knife industry, as it pertains to everyday carry, is primarily based in the US. Certain brands stand out as doing unique things to make their knives fill unique roles within the market. Benchmade has a reputation for making excellent tactical and EDC knives. Benchmade folding knives often make their way into the hands of the US Special Operations community because of their quality. This sort of reputation does not come cheap, however, and Benchmade’s knives are geared toward the high-end purchaser, typically running well over $100.00. What makes these knives justify such a price? Certainly, some of it is the allure of using the same knife as a SEAL or Delta Force operator, but Benchmade does offer multiple types of blade materials for consumers, all of which maintain their edge extremely well. 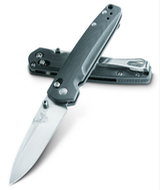 Additionally, Benchmade offers some high quality automatic and assisted-opening knives. For those not authorized to carry automatic opening knives, the Benchmade Barrage is an outstanding assisted-opening knife. 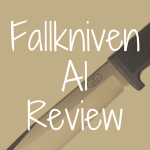 Check out our review of the Benchmade Mini Griptilian. Columbia River Knife & Tool Company (CRKT) offers a wide selection of similarly high-quality knives, but at a more mid-range price. CRKT excels at making tactical EDC knives (as opposed to utility EDC knives). In particular, CRKT’s James Williams line of martial arts inspired folding knives stand out as brutally well-designed knives. I have carried the Hissatsu folder now for approximately a year and am surprised at its balance and comfort in the hand. I also appreciate the safety of CRKT’s auto-LAWKS feature, protecting against the knife accidentally closing on a hand. Check out our review of the CRKT Drifter here. 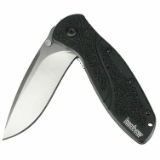 Kershaw is known a knife manufacturer less for unique knives than for the fact that it makes quality low cost knives. The Kershaw Shuffle II, costing less today at roughly $18, stands out as having a durable 2.2 inch tanto blade (well below the blade length limitations set by many jurisdictions and employers) and a flat head screwdriver. 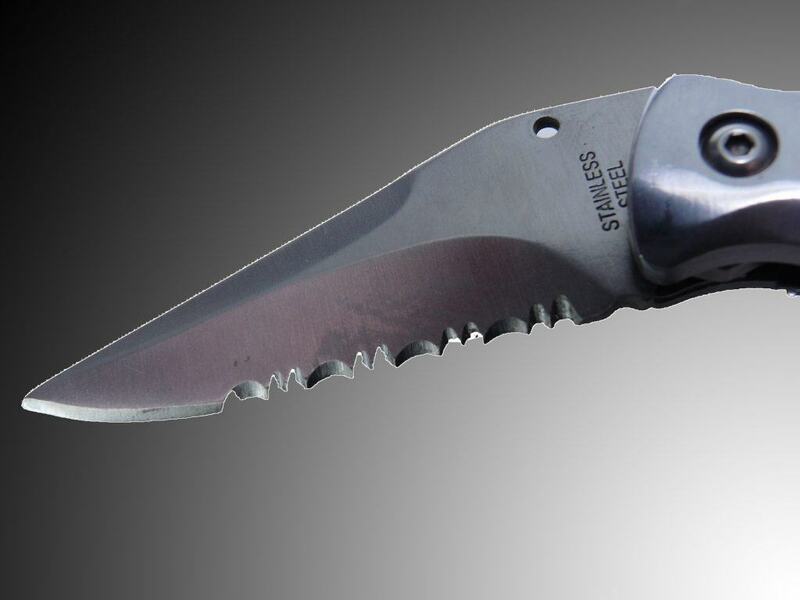 Given its quality, this may be the best cheap pocket knife. Another low cost knife from Kershaw is the venerable Cryo II. While I dislike metal handles, for the grip issue, the Cryo II solves this problem by utilizing a grip guard as its opening mechanism. Check out our review of the Kershaw Cryo right here. SOG tactical knives may not be as well known as their multi-tools, but are outstanding mid-range EDC folding knives. What makes SOG knives so special is the wide range of blade types and the willingness to push the envelope of design (case in point, the SOG Slim Jim, which is an assisted folding knife made from a single sheet of steel). SOG blades are inspired by the Special Operations community (the name is derived from the Vietnam era Military Assistance Command Vietnam Studies and Operations Group, a joint CIA/military task force), are excellent mid-range EDC knives. SOG’s Twitch II may be an understated alternative to the CRKT Hissatsu, although I consider its metal handle to be slippery. A better bet may be the SOG Salute, which utilizes durable 8Cr13MoV steel, has a grippier steel and synthetic handle, and a pummel that could be used to breach automobile glass in emergencies. Check out our review of the SOG Aegis Mini right here. 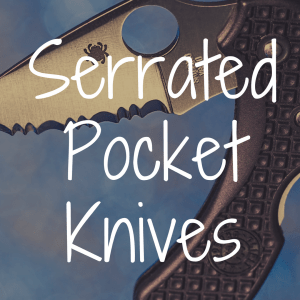 Spyderco pocket knives took off in the outdoor sports realm, particularly amongst climbers, kayakers, and sailors that needed a rugged knife able to tear through ropes and lines while maintaining their grip in water. Spyderco’s Delica is a solid EDC knife that has not gone through major design changes over 20 years. It is a reliable, rust-resistant knife. 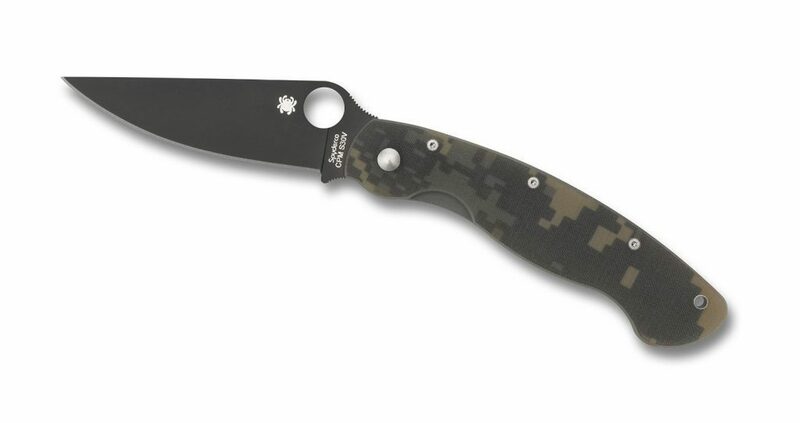 Like Kershaw and SOG, Spyderco uses 8Cr13MoV steel, which is durable, although duller than less costly steel. A general complaint I would have regarding Spyderco is that their knives have gotten more expensive over the years without major design improvements to justify the price increase. Check out our review of the Spyderco Salt 1 here. Of the five standout manufacturers mentioned above, CRKT is easily the best simply because of the people designing its knives. CRKT’s tactical knives are designed by veterans like martial arts expert James Williams and the late Kit Carson, who led the charge with easy-to-open flipper knives. Ken Onion, who left Kershaw for CRKT and his own company, designed the innovative field stripping system of the new CRKT Homefront knife. CRKT knives balance utility with tactical application well and also are reasonably priced. By having the design of their knives in the hands of veterans who understand – and have experienced – the real world problems facing a knife’s most extreme users (the military), CRKT has created reasonably priced knives that are robust enough for rigorous use. 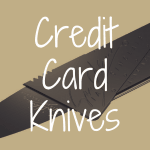 How to Choose the Best Credit Card Knife?